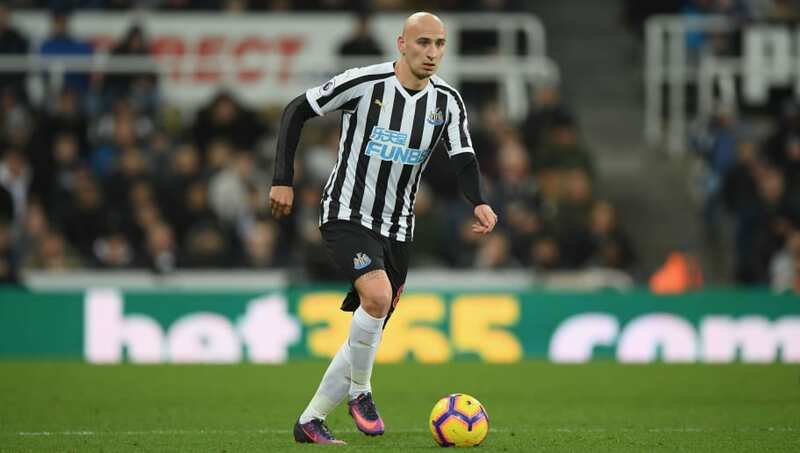 West Ham United will make another bid for Newcastle United midfielder Jonjo Shelvey once the summer transfer window opens. The Hammers made inquiries in January regarding Shelvey's availability but were unable to secure a deal. However, they will continue to push for a move over the off-season and are confident they can finally bring Shelvey to the London Stadium. The England international has found game-time difficult to come by this year, with manager Rafa Benitez preferring youngsters Sean Longstaff and Isaac Hayden over him. Despite this, the ​Magpies' boss was eager to retain all of his senior squad members when ​West Ham made their initial approach, ending any prospects that a deal could be struck over the winter. Though Newcastle were reluctant to sell the 27-year-old at the time, he has been a peripheral figure at St James' Park for much of this ​Premier League season and will reportedly be allowed to leave once a suitable replacement is found. The ​Northern Echo report that his next destination could be east London after all, with Hammers coach Manuel Pellegrini expected to receive strong backing from the club's owners in the transfer market. The former ​Liverpool playmaker has not been handed a start in the league since November and has made just 14 appearances in all competitions this campaign, a far cry from the 33 he amassed last year, demonstrating how far down Benitez's pecking order he has fallen.